Justin and Megan Van Zanten were twenty-three years old when they founded J. Daan Wine Cellars. Justin had been working for one and a half years as a cellar assistant at a Willamette Valley winery and envisioned a family winery of his own. He started with a modest 100 cases of 2003 Willamette Valley Pinot Noir ($18/bottle). 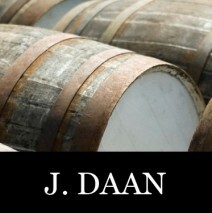 The wine received 90 points from the Wine Advocate.Robert Parker noted Justin’s effort, “…the 2003 Pinot Noir, his first release, is outstanding…” Today, J. Daan produces 1200 cases a year and has added Rhone varietals to its repertoire.At J. Daan, winemaking is a tribute to simpler living. We hope our wines will play a small part inreconnecting earth, food, and family. Enjoy these wines in good health and good cheer.